This dining room table offers an industrial vibe to your entertaining. 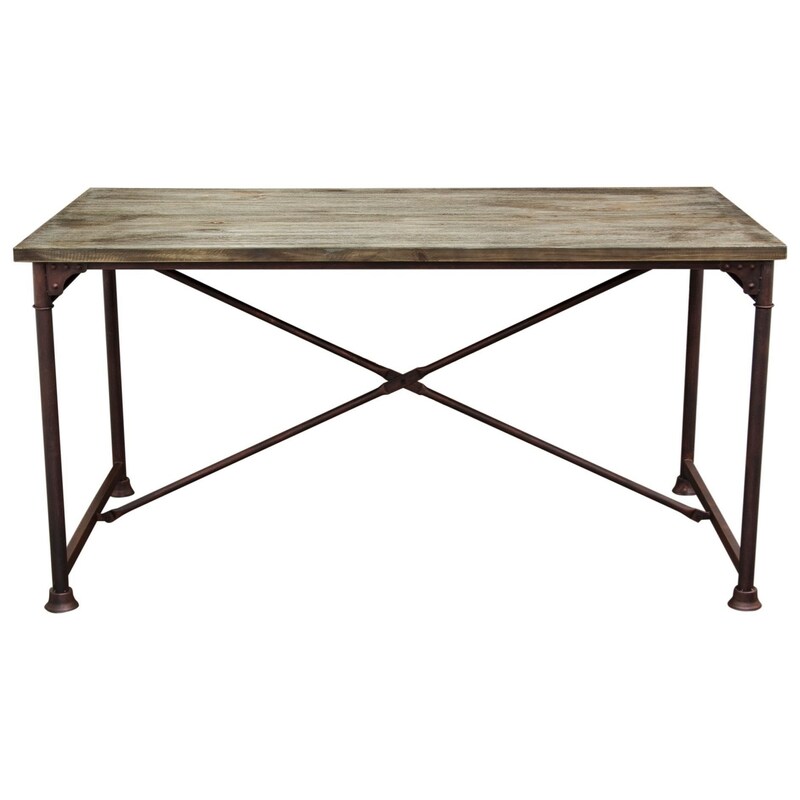 With its solid pine top in a weathered grey finish atop the hand painted and distressed iron base in a Rust Black finish, the table oozes confidence and strength. Perfect gathering place for friends and family alike, the table is sure to become the centerpiece of your entertaining occasions. The Dixon Dining Table by Diamond Sofa at Red Knot in the Oahu, Honolulu, Kapolei, Pearlridge, Salt Lake, Hawaii area. Product availability may vary. Contact us for the most current availability on this product.